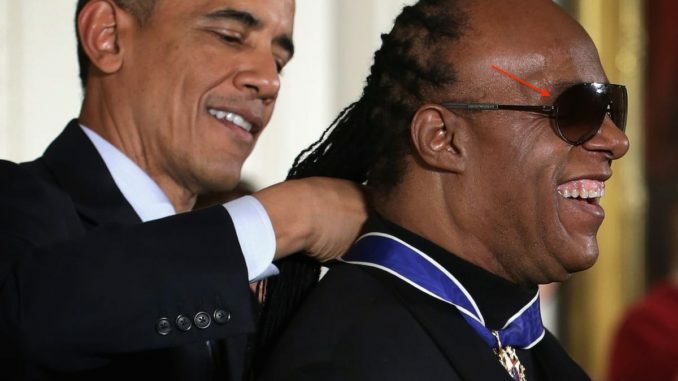 Stevie Wonder isn’t really blind and has been fooling millions of fans around the world for decades, according to new ‘evidence’ released by conspiracy theorists. Stevie was born prematurely before his eye blood vessels had properly formed, which plunged him into blindness. At least, that’s what he officially wants people to believe. According to some experts, the story was a massive PR stunt designed to sell more records. 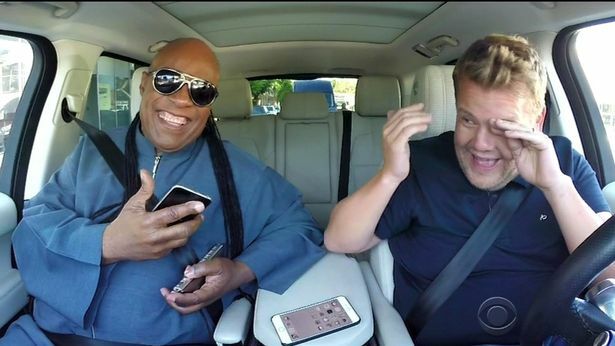 Mirror.co.uk reports: Stevie himself has often made fun of the outlandish theory, pretending to read a results card at the Grammys and even trying to drive during James Corden’s Carpool Karaoke. So what’s the supposed evidence that the kooky crew out there believes? Conspiracy theorists claim Stevie gave the game away when he tried to catch a falling microphone live on stage at the White House in 2010. The star was taking part in a group performance when Paul McCartney accidentally knocked the microphone on his way past. And viewers were floored when Stevie, 68, reached out to catch it. The suspicious sorts’ spidey senses went into overdrive when Stevie was pictured taking a picture of Micheal Jackson at the Mowtown Museum in 1996. How did he know where to point the camera and what buttons to press, ask the so-called ‘Stevie Wonder Truthers’. Stevie loves a game of B-ball and is often spotted sitting courtside and cheering on the action. And the mysterious Ms Mbappe was quoted as claiming it speaks volumes. “Have you seen him sitting front row at basketball games? He loves basketball,” she continued. As the Boy George unproven legend goes, the Culture Club star apparently claimed he was at a party when Stevie marched over and put him in a play-fighting head lock. “How could he know where I was if he’s completely blind?” he has often been quoted as saying.